The publisher of National Enquirer, American Media Inc., asked the Justice Department if it should register as a Saudi agent, the Wall Street Journal reported Monday. The newspaper reported that a written letter published by the DOJ's Unit of Registration of Foreign Agents was addressed to American Media. 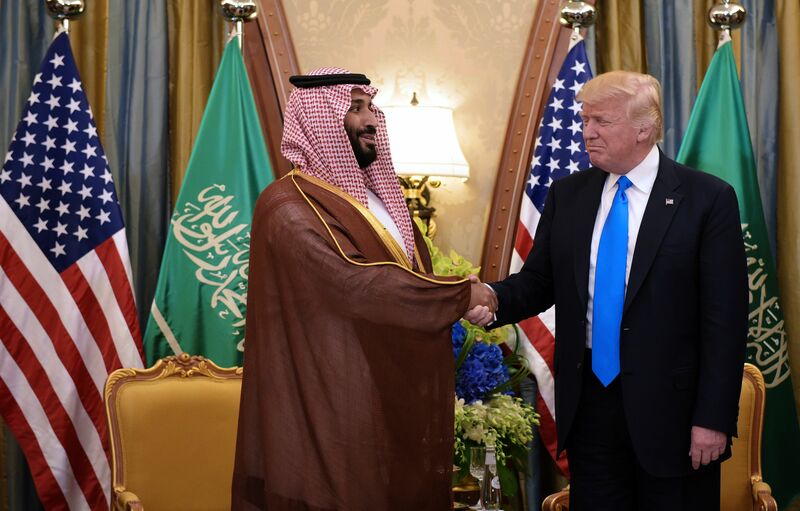 The letter referred to the company's publication of a magazine that praised Prince Mohammad Bin Salman, published to coincide with a visit he made to Washington in March 2018. "According to your submission, [U.S. corporation] created and published [publication] [text deleted], coinciding with the visit of [foreign government leader]"Says the letter written. The DOJ decided that American Media's activities did not qualify it as a foreign agent under FARA. The letter also says that American Media hired an anonymous adviser from the Saudi government to write an article and edit the magazine, entitled "The New Kingdom." The WSJ reported that the magazine included an editorial praising the Saudi leader of French financial advisor Kacy Grine, who has experience working in Saudi Arabia and who reportedly visited Trump in July 2017 with American Media CEO David Pecker. , and Content Director, Dylan Howard. Pecker admitted last year that he bought embarrassing stories about Trump and did not publish them as part of a testimony immunity agreement with federal prosecutors investigating Michael Cohen. Last week, a possible Saudi link emerged with the problems of the National Enquirer, after Amazon CEO Jeff Bezos published a series of allegedly extorted text messages from the company's lawyers. Bezos wrote in a post about the threats that the coverage of the murder of Saudi columnist Jamal Khashoggi had attracted his attention. "The Saudi angle seems to hit a particularly sensitive nerve," he wrote.